This entry was posted on November 12, 2018 by B4S. 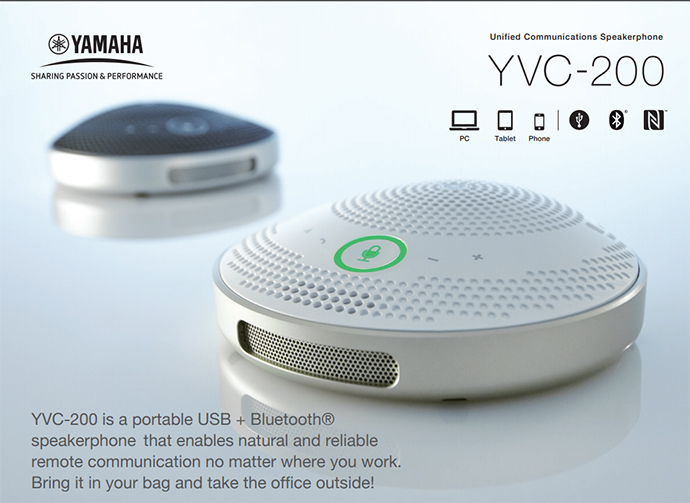 The Yamaha YVC-200 is a fully portable speakerphone which connects to laptops and computers via USB and to devices such as mobile phones via Bluetooth. The beauty of the portable conference unit is that it can travel with you anywhere you wish. It has a battery which supports up to 10 hours of calling and can be set up within minutes. Full duplex is supported whilst a 3.5mm headset jack allows the option to listen in private to a call. Yamaha's audio is enhance via Ultra Wideband Audio, Adaptive Echo Cancellation and an Omni Directional Microphone. 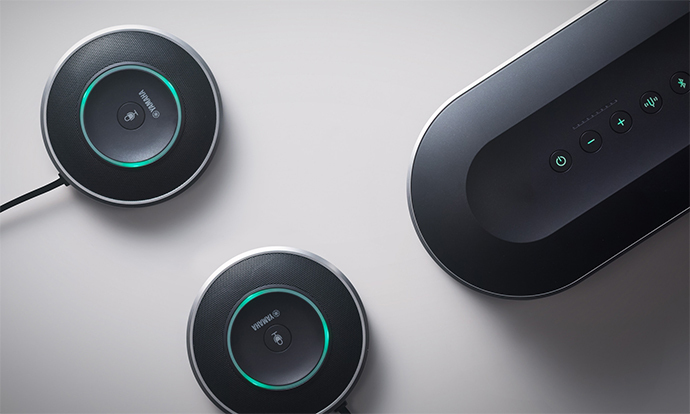 The Yamaha YVC-1000 Microphone and Speaker is an enterprise level conferencing solution that can be deployed for business conferencing. For larger meetings it can be 'daisy-chained' to provide even greater coverage.  It is available as the basic Unified Communications version as well as one specially optimised and certified for use with Microsoft's Skype for Business. The Yamaha YVC 1000 provides a clear audio to a large space and carries advanced audio qualities including : Adaptive echo cancellation, De-reverberation, Automatic voice tracker, Automatic room EQ and Automatic gain control. It can connect via Bluetooth or via dedicated audio input and output interfaces. Looking more the the sort of soundbar that one places under your TV the YAMAHA CS-700AV Video Sound Collaboration System is actually a high specification video conferencing unit. This has been specifically designed to eliminate the need for a table based conference layout and allow more freedom in seating arrangements. The camera has ultra wide angle of vision and the video/ soundbar itself can be wall mounted. It also incorporates a beam forming microphone array which, one imagines, adds to the great sound quality of this unit. This is just a small sample of the products that Yamaha ( formerly Revolabs ) are bringing to businesses - all set to provide value and quality whilst enhancing communications.